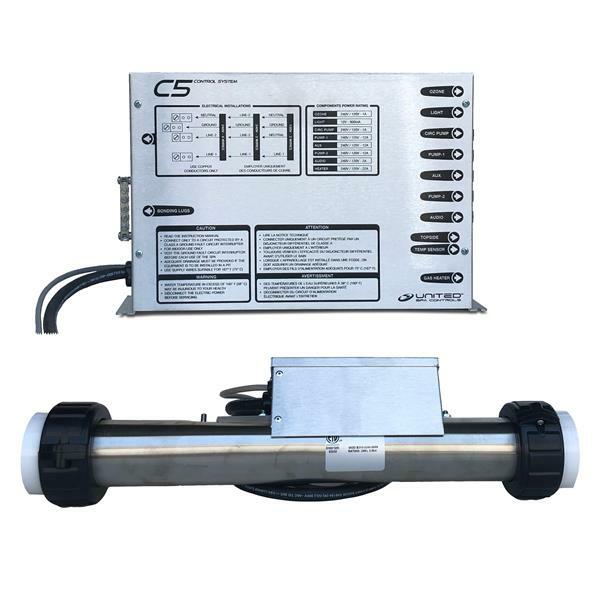 We can help you customize your spa control. Just email us Tech@spaquip.com or give us a call (727)944-5525 with any questions. - Mounting Hole Dimensions 13.25" X 2.63"
- T7 Topside Dimensions: 5" x 2.5"
- Adapter Face Plate Dimensions: 8-1/4" x 3-3/8"
* Transformer is factory set to 240V incoming power, but can be easily converted to 120V (See C5 Installation Manual). 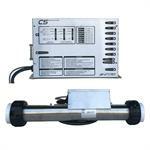 When installing you simply need to program the topside to operate the components in your customer's spa! NOTE: These units come standard with the cords for the light and a two speed primary pump, if additional AMP cords are needed please check out the 'Cords and Receptacles' section of the store. If you order them above with the spa control you will save a couple of dollars. The C5 Series electronic controls now feature our fifth generation electronic power board, the B9 power board. The new B9 board feature 'zero-crossing' technology. 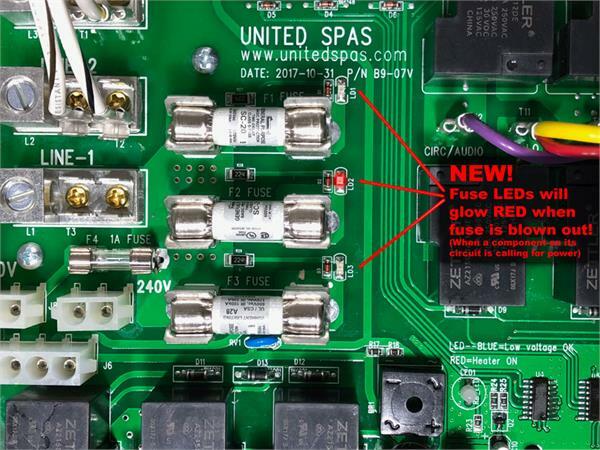 This means that the relays are now only engaged at the optimal zero crossing of AC power, which is easier on the relays, and easier on the components in the spa. 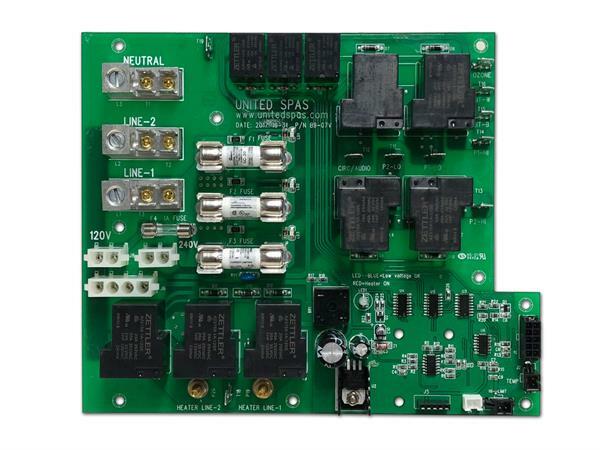 Every trace on these boards have been carefully engineered, with low voltage circuitry separated from high-voltage circuitry, and utilizing solid brass bars instead of printed copper traces for high voltage power. 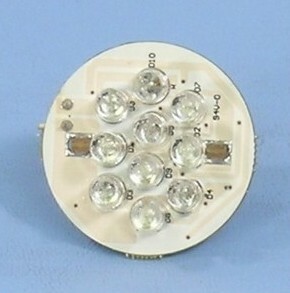 This unique design ensures the safety and longevity of our control systems. With the addition of the new dual-voltage transformers, the C5 control series are now the only controls on the market that come out of the box ready to operate at 120V or 240V (3-wire or 4-wire), at 50Hz or 60Hz, and configurable to 40 different hardware configurations. 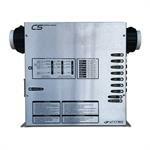 That makes any C5 capable of operating almost any spa, anywhere in the world, right out of the box!